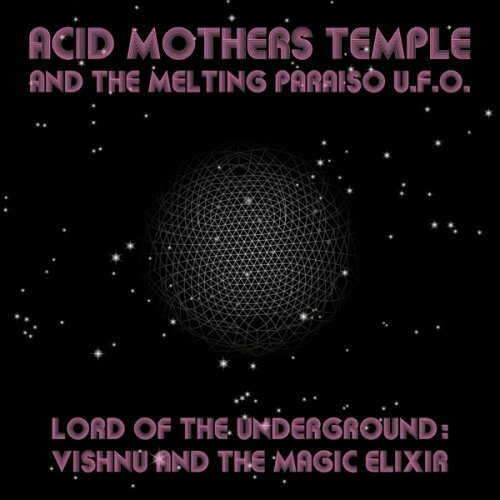 The output of Acid Mothers Temple in 2009 continues to be so staggering it’s almost literally impossible to keep tabs on each new release — including limited live recordings, they issue eight to ten in a given year on an astonishing number of labels. The upside for the band is always having something new to sell at shows, while the downsides for AMT fans are numerous. Another downside is quality control. It may indeed be the mission of AMT to document every single studio moment or every gig and release as many as possible. But given the sprawling nature of AMT in general, this can often lead to some tedious and boring recordings. 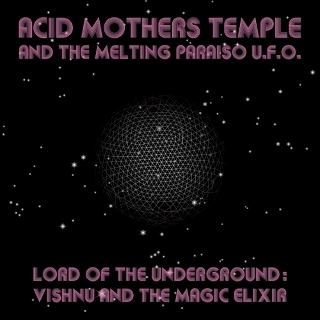 Lord of the Underground: Vishnu and the Magic Elixir is a mixed bag. It contains three pieces, two longer jams, and one pointless bit of ‘folk’ music tomfoolery in the middle. -keep reading in allmusic.